Are your little ones still looming? 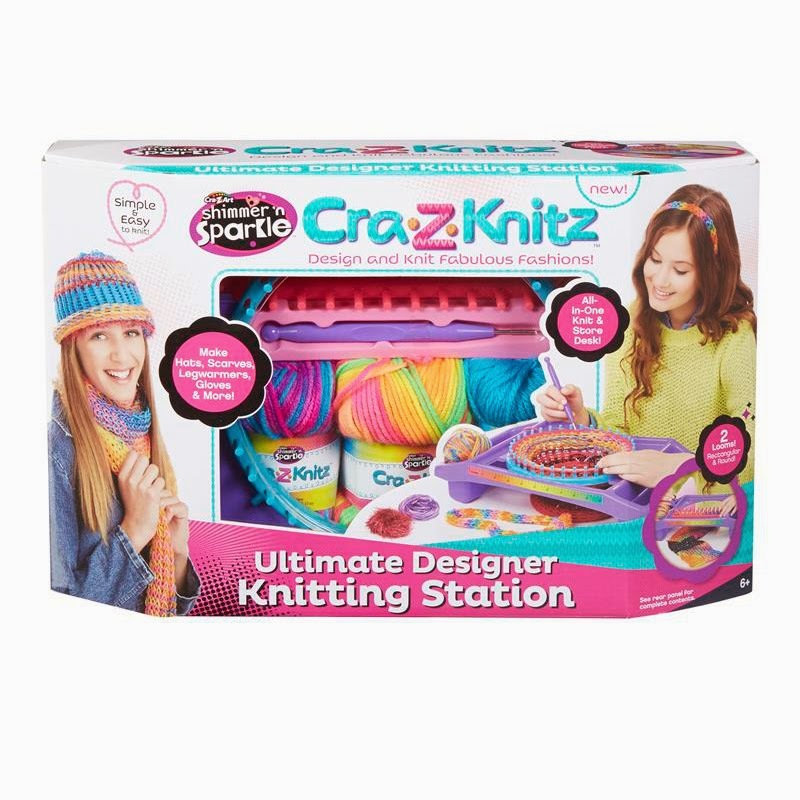 Well if they are anything like Grotbags they love to make and experience new things and the new Cra-Z-Knit Ultimate Design Station is just fabulous. 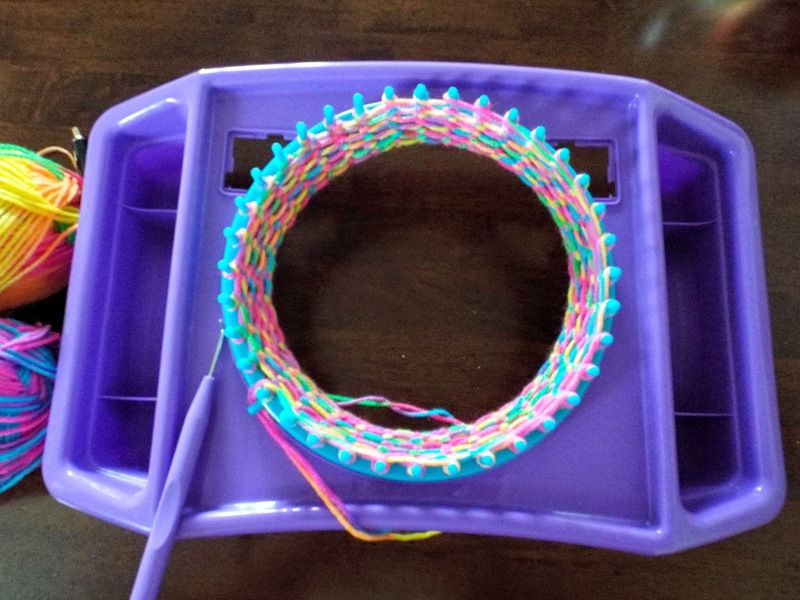 Now I never really got into the loom band craze as I couldn't really see the point in lots of plastic bracelets and I can't enthuse about this product enough, you can create hats, scarves, legwarmers, gloves and lots more. It's such a great idea and so easy to introduce your child to knitting. Grotbags found it quite fiddly at first but once she got started she loved being able to see her creation growing. The looms actually slot in to the design desk which makes it so much easier to handle, with compartments on either side to store your yarn. One of the added benefits for me is that you are able to sit with it on your knee whilst your watching tv. This would really make a great Christmas present for anybody who likes crafting, even adults and I think I will be using it probably more than Grotbags in the months to come. The Cra-Z-Knit is suitable for children aged 6 years and over, retailing at £29.99 from all good stockists. Now I really need to get on and finish this hat! Happy knitting. 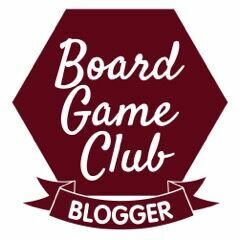 We were sent this product free of charge for the purpose of this review and the opinions are entirely our own.